God speaks sometimes in a small town public school gymnasium, like tonight during our Spring Music Concert on the North Dakota prairie. Our school has approximately 200 students in it, grades K-12, in one building, in our town of 1,000 people. 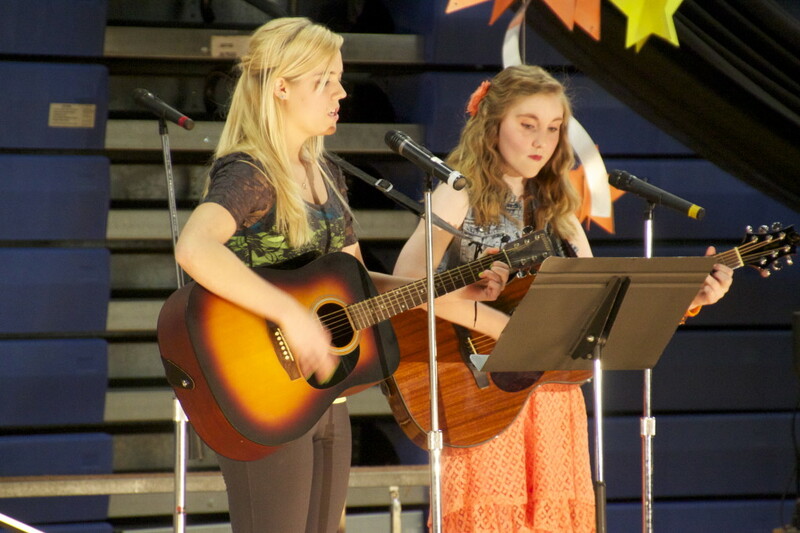 Tonight’s program featured the junior high and high school students. 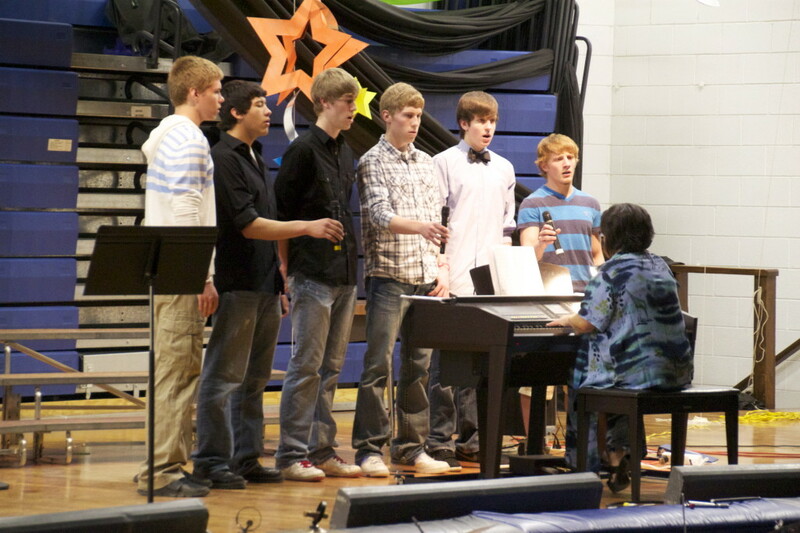 Our son, Hunter is one of six high school boys in the choir and the only from his class. Due to the timing of our recent family vacation, he missed the regional small group music competition but was able to still sing one small group piece tonight along with many full choir and band pieces. It was not Hunter’s performance that stood out and had God speaking to me tonight. But I left with a lesson taught to me through this concert. The lesson that God taught me started with the music selection. The choir sang in Spanish and Latin. They sang a traditional choir music and some contemporary. But a majority of the music selection was faith-based, Christian music. Why did that speak to me? It is not the standard of our society anymore to ever include any type of faith into our public schools. Our rural public school is not the norm and clearly our music teacher chooses to stand out in her teaching which I respect and appreciate through her song selection. At our school, a senior boy stood and boldly sang “Were You There”. 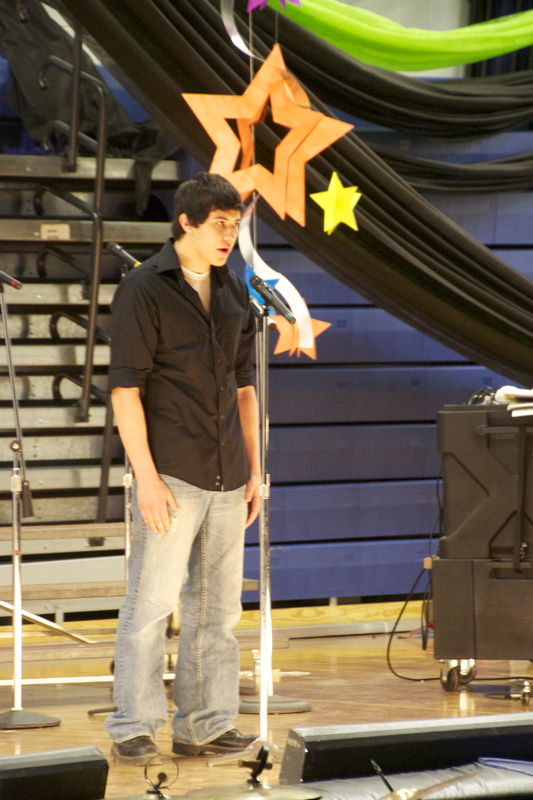 He previously qualified for State Music with his performance. I believe God speaks when kids get to sing from deep within their hearts. My husband and I see that each Sunday morning when we sing with our pre-school aged Sunday School students. The joy spills out of the kids as they sing. 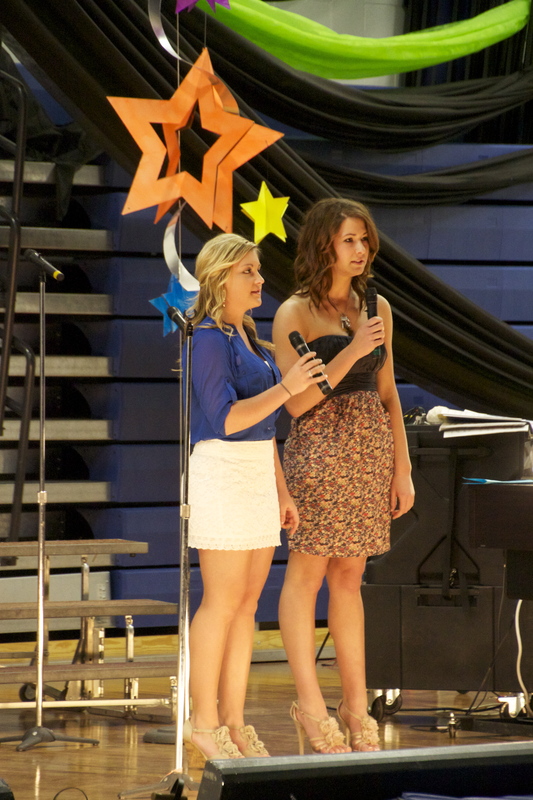 A duet of girls sang “Sing With Grace In Your Heart”. They also qualified for State Music. Maybe the girls didn’t feel joy spilling out of them on stage, but I saw it in their parents’ eyes. With every performance, God spoke to me through the song selection, even when our daughters were crawling over me and I was distracted, the lyrics would pull me back into the concert. I believe we all have to find a way to respect one another yet stand firm in who we are. I respect our separation of church and state. But in our small town, we are Christians and no one minds when our kids stand up and sing Christian lyrics in a music concert. We respect differences. But our Christian faith defines a part of who we are as people and as a local community. There were other advantages of our rural school setting tonight that stood out to me in the concert versus what a large school could not offer. 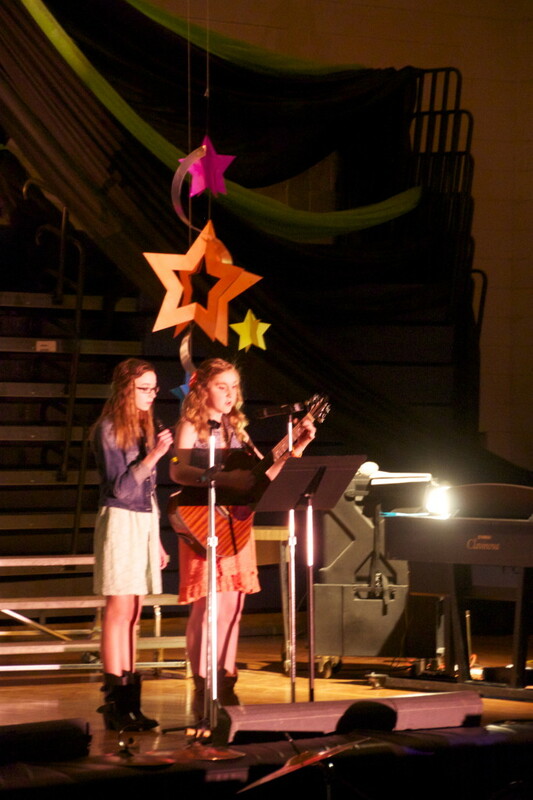 How often does a senior student play guitar alongside a seventh grade student in a big school? Never. 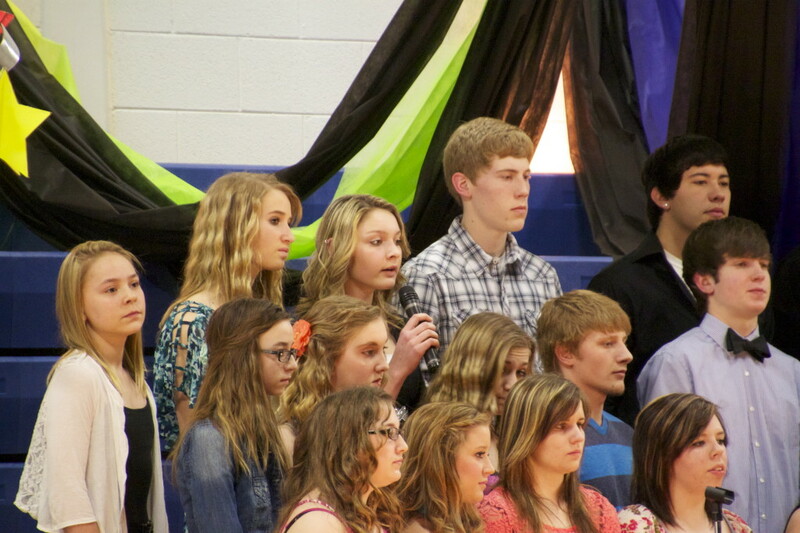 Because a seventh grade concert would be separate from a senior high concert. But in a small town, we are all one. One concert. One school. One community, empowered by example and encouraged by each other. One of my favorite moments of the night was when two seventh graders took together on stage, giving a strong performance because it gave them a platform for their future in music and performing. They most likely overcame nerves to know they can shine on stage in the future. The moment when the top wrestler in the state, a three-time state champion, sang alongside his sister will be forever burned into my mind. There were no trophies or accolades but the messages were clear to me. 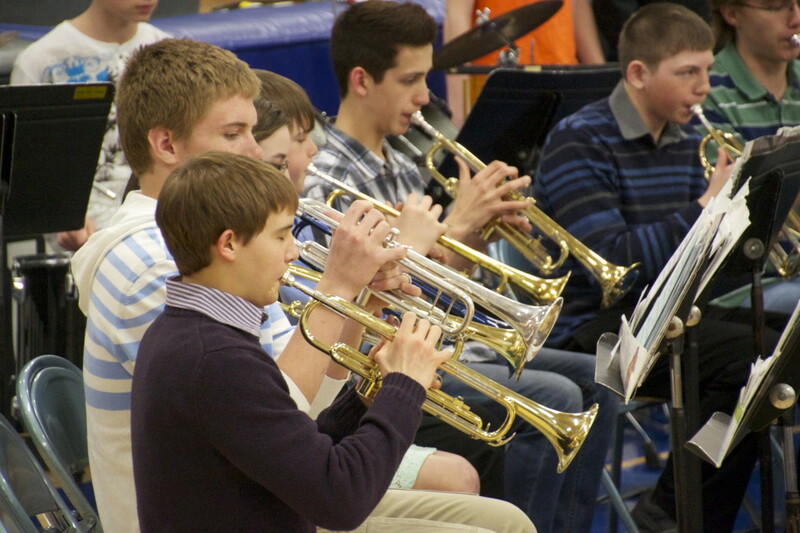 In a small school, it takes everyone to make a music concert a success. It starts with the teacher, the support of the school and then the students. It is not an elite group. The students are not solely focused on music. But music gives them an outlet and a platform. It also gives them a greater purpose. The songs the students are humming as they go to bed are filled with guidance, encouragement and faith. “Were You There”, “Sing With Grace In Your Heart”, “Lord Is My Shepherd”, “Goin’ Up”, “Lord, Listen To Your Children Praying” and many, many other beautiful songs they learned and performed in our music concert. We used to pay tuition to a private Christian school before moving to the prairie. There are aspects I will always miss about Bible based school education but teaching children to boldly share, sing and play out their faith in the everyday world of a public school has its advantages. And God spoke to me tonight through the example of our rural school music concert. I left with a sense of peace and understanding that God speaks in small town gymnasiums at spring music concerts, if we are listening. Or He speaks to you, wherever you are, when we are willing to listen and engage. Do you have a private or public education background? What are advantages or disadvantages do you see? I grew up in a public school like that. We were a little bigger, but not much. 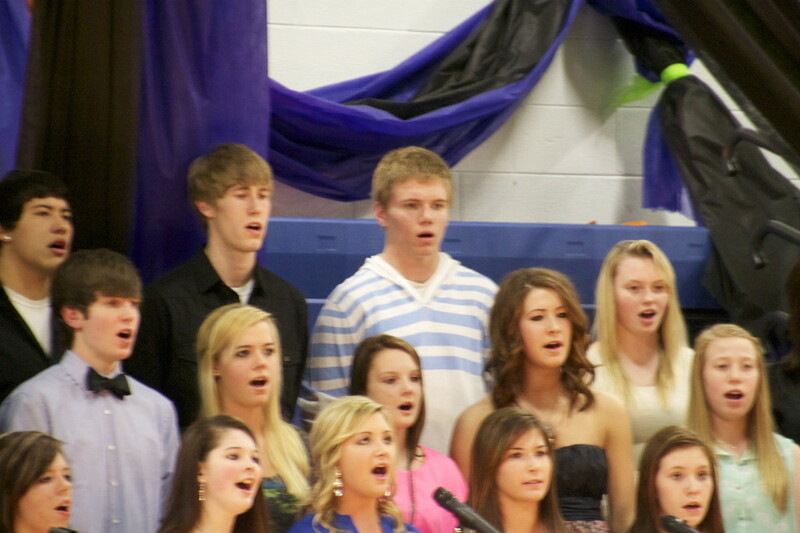 I always loved being able to sing christian songs in high school choir. And now, I love it when my oldest comes home from school in a larger town (he’s got about 70 kids in his 2nd grade class) singing a christian song that he learned in music class. It warms my heart. I hope it continues throughout his education. I went to public school with about 100 in each class (town about about 1800). Our choir director always chose christian music (gospel, hymns) for us to sing. 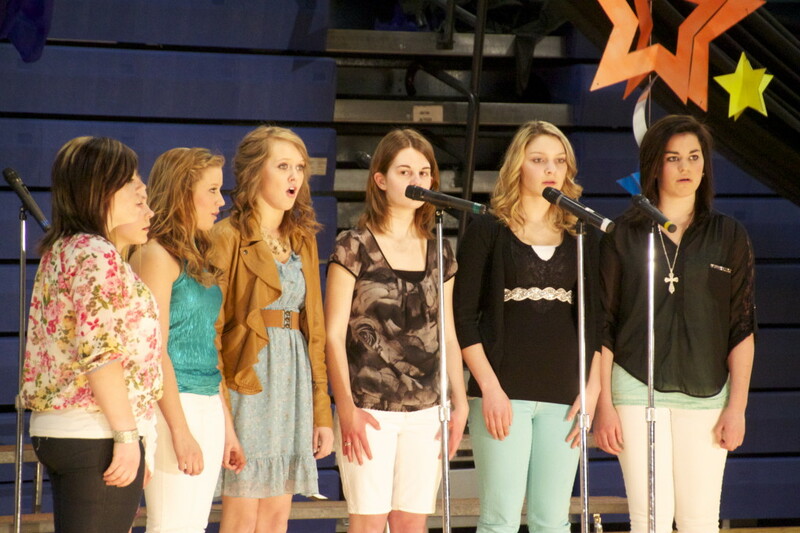 We always did amazing at state competition. Songs were always 6 or 8 parts and I think that is why I enjoyed it so much. We sang music with meaning and more meaning since I was a believer then and still. I am now on the fence when it comes to public edu. vs homeschooling or private. It’s so different now days… it’s hard to know with out trying out public and really being involved. Thanks for sharing! I really like this and only in a small town I loved the Christian music.